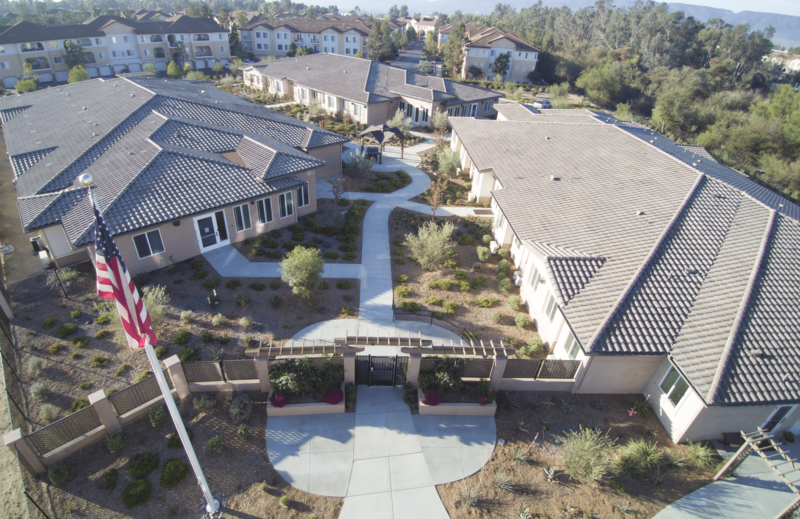 Ashley Percia, Director of Community Relations at Renaissance Village Murrieta, states that our community continues to be a real success story. During 2018 we enjoyed continued growth & success and increased leasing activity. The entire community has now received City of Murrieta final approvals and certificate of occupancies. These approvals include the Assisted Living Tower and Memory Care Villa. In addition, two other villas of which one will serve as a new “Transitional Care” building. Each new villa will offer up to 20 beds and provide a more intimate setting. This will include its own amenities. Our transitional living villa is also great for short-term stays such as those recovering from surgery or illness.